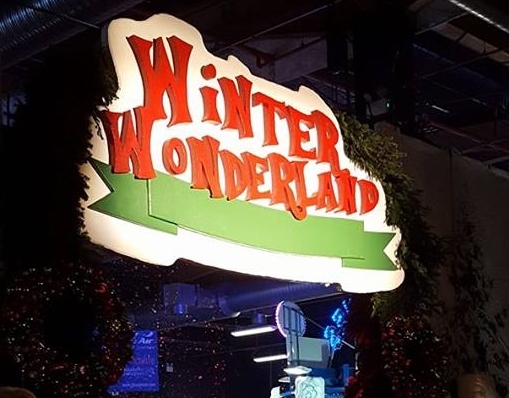 My family and I have really been getting into the festive spirit lately, and so when we were given the opportunity to attend the official launch night of Winter Wonderland Manchester at EventCity, we literally jumped at the chance! 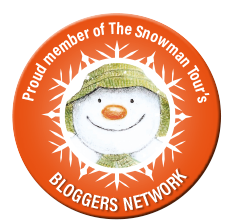 We headed out there on a wet and windy Monday night, dressed warm and ready in our Christmas jumpers keen to find out more and experience the Winter Wonderland magic. 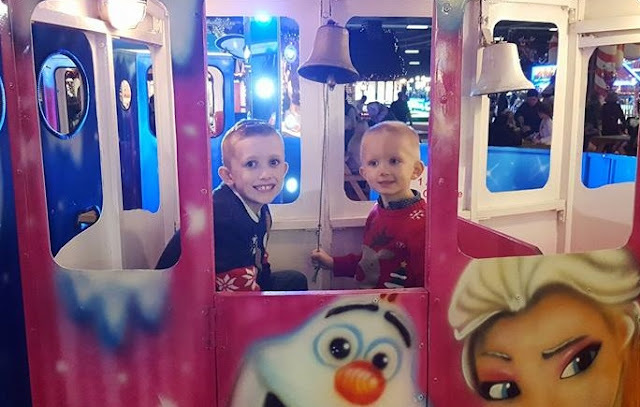 We didn't need to wait long however as the attraction worked its magical wonders on us right from the very beginning, with the children delighted to be entering the event under a cascade of snow. My three year old son Riley has never experienced snowfall before, as the last heavy snow we had in our area was just before he was born, and so to see his little face light up as we walked through was amazing. Upon entering we were immediately faced with a whole host of fairground attractions and my kids couldn't wait to jump on a ride and have some fun. They each chose a ride near the entrance to get started, and then we decided to have a good look around and find out where each attraction could be found. In addition to the vast array of rides, there were numerous other festive treats to enjoy including a mini pantomime of Cinderella, a Christmas Circus, a fun family show featuring the fabulous Basil Brush and Mr Matt, and if that was not enough, there was of course the chance to meet Santa himself and his real reindeer too! Having had a wander around and seen what was on offer, we immediately felt that the attraction offered excellent value for money. 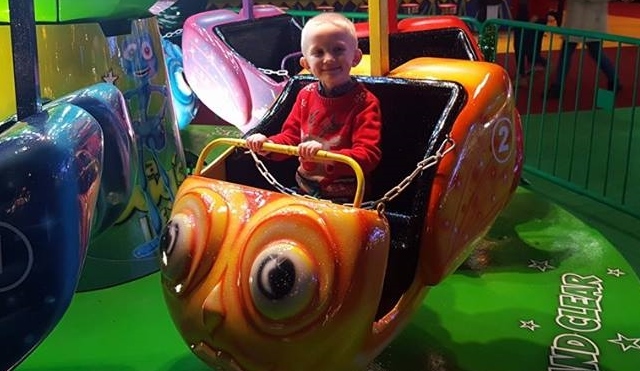 We had visited numerous fairgrounds over the summer which would charge around £3 a ride, which for 3 children can quickly mount up to an excessive amount of money, but there was no need to worry about that here, and my children went on some of their favourite rides three or four times. My youngest son Riley, absolutely loved the traditional carousel which is situated towards the rear of the building. It looked so grand and majestic, and he loved pretending that he was riding a real horse. One thing I would note though, is that the steps on the side are quite steep so make sure you are ready to give your children a helping hand to get on and off, and I would recommend riding on the horse with your child if they are quite young just to be on the safe side. There was also a lovely minature version of a carousel a short distance away for toddlers too which my son also really enjoyed. I thought that this was a great idea. 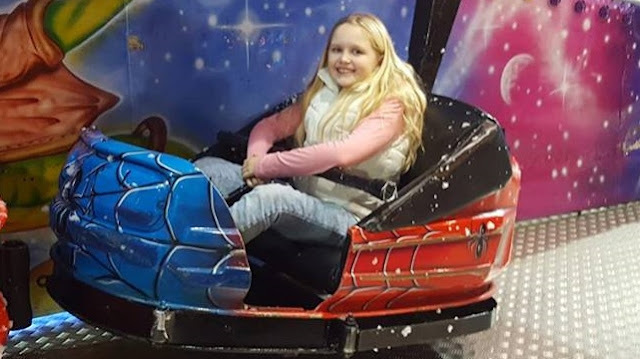 My daughter Emma who is 10, is starting to show an interest in the more scarier and faster rides now, and so I really loved the fact that there were rides available for all age groups, so that none of my children felt left out or bored having to watch their siblings have fun instead of them. Santa's grotto is fantastic, with friendly elves ready to welcome you and help make the experience all the more magical for children. Again this is included in the ticket price, but there is also the option of purchasing a gift for your child for only £3.50, but of course this is not compulsory. Real reindeer to meet and greet also assists in making this a marvellous grotto for families to enjoy. On the night we attended the queues varied in length throughout the evening, but on weekends I could imagine this being very busy, so would perhaps like to see the introduction of ticketed slots to reduce waiting times in the future. The friendly elves can also be found throughout the attraction ready to make your children smile, pose for an "elfie" or quite simply answer any questions you may have. I thought that this was a great idea, as not only did the children love to see the elves walking round, but it also gave us parents an easily identifable person to recognise as staff should we have a query. 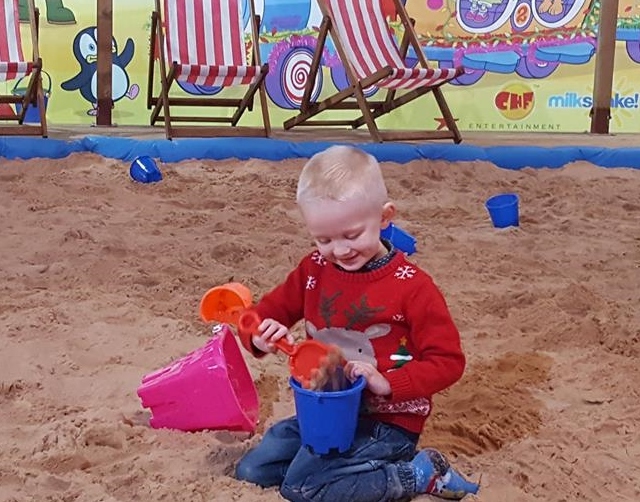 If however, winter is not your thing, and you would much rather the fun of the seaside, then make sure you head over to Salty Cove, where you can have a relaxing chill in a deckchair, whilst your children build sandcastles and meet the wonderful Pip Ahoy! 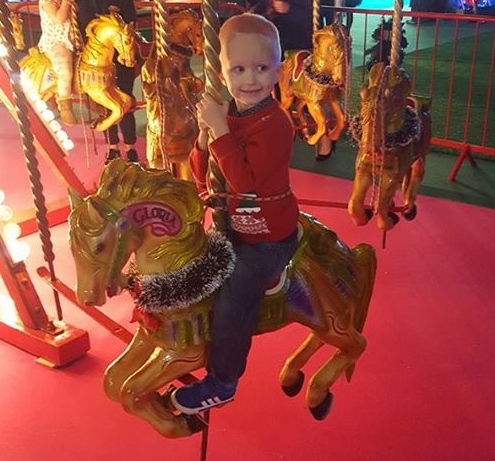 I did find it slightly strange having a beach within Winter Wonderland, however Riley really enjoyed it, and it also gave the younger children somewhere to play, away from the more busier attractions. I do feel as though the organisers have also really taken on board comments from previous years and have tried to cater for everyones needs. There is ample space for prams and wheelchairs, a cloakroom should you want to leave your coat or bag in a safe area, a quiet zone outside the main attraction zone and away from the hustle and bustle, and also a toddler soft play area. I found both the toddler soft play area and Salty Cove really quiet during our visit, so it was nice to take Riley away from the crowds for some quieter fun in between rides. 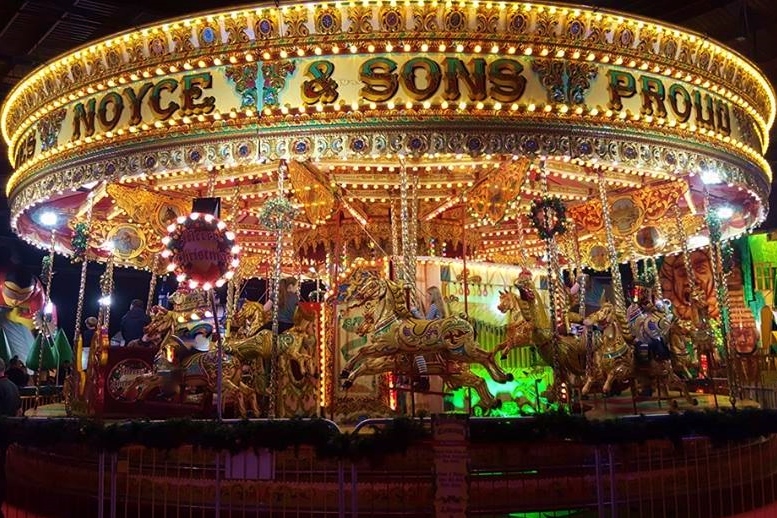 In order to prevent overcrowding, the organisers operate this event on a session basis to help ensure that vistors can experience all that Winter Wonderland has to offer. 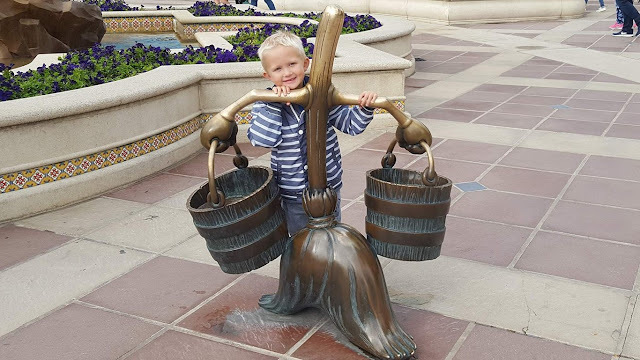 This is a great idea, as it helps to minimise the queuing and makes sure that you get excellent value for money by being able to visit each part of the attraction. Each session lasts for four hours, which was just about right for us, as the kids were starting to get tired, however we could quite happily return again and enjoy it for another session. If I was therefore going to make any suggestion it would be perhaps to offer the option of a 2 day ticket. In terms of food and drink outlets, there was the usual fast food available, as well as coffee, bavarian beer, slushies and sweets. I have seen a few comments asking for more choice and healthier options, but with the Trafford Centre only over the road, there is an ample choice of restaurants right on the doorstep to suit everyones tastes, so you could always enjoy a meal there before or after the session. . 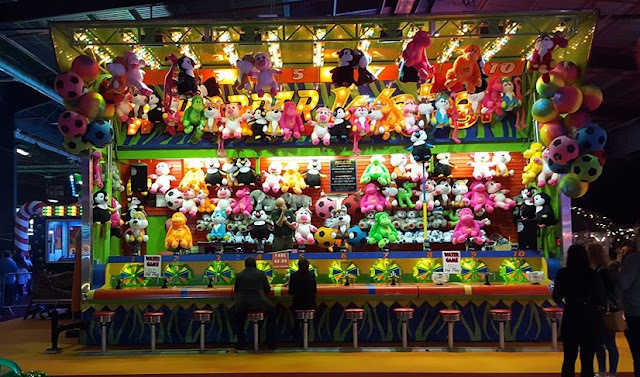 I would suggest taking some cash with you, as you will need additional money for any purchases such as gifts or merchandise, or for the games stalls and arcade area. I personally didn't spend any additional money at the attraction, but I knew my children would want to, so I set them a budget of £5 each to use on the games so that it saved any arguing or demands for money inside. They each knew how much they had to spend and this worked well for us. Fortunately they were more interested in the rides, than the fairground games, so they even came home with some change! 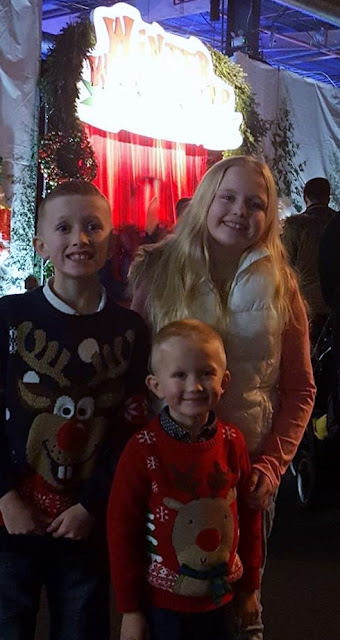 Overall, we had a fantastic time at Winter Wonderland, and my children couldn't wait to tell all their school friends about it the following day. I believe that it offers excellent value for money, and I think it is great that under 3's are free, even though there is plenty for them to do there. There was a huge amount to see and do, and hopefully we can fit in another visit before the 1st January to return again. Winter Wonderland Manchester is open from Saturday 10th December through to the 1st January 2017. It is based at EventCity which is just next to the Trafford Centre and offers FREE parking. It is also easy to get there using public transport, which I did earlier in the year when attending the Digital Kids Show, and we caught the train into Manchester Piccadilly from North Wales and then the X50 bus from Piccadilly Gardens bus station which runs at regular intervals. Group, family and individual tickets are on sale now and the event is also offering VIP corporate packages for companies who are looking to treat staff and their families to an extra special Christmas day out. Alternatively you can make a booking by telephone on 0843 208 1842 or for group bookings please call 0843 208 6003. However, don't delay as some dates are already fully booked! Groups: 10% discount (when booking 15+ tickets). * (2 adults and 2 children or 1 adult and 3 children). Please note that the Santa meet and greet is only available until the 24th December. Disclaimer: I was provided with complimentary tickets to the launch night event for the purpose of providing an honest review of the attraction. All opinions are my own. Our Review of the Cbeebies Magazine!